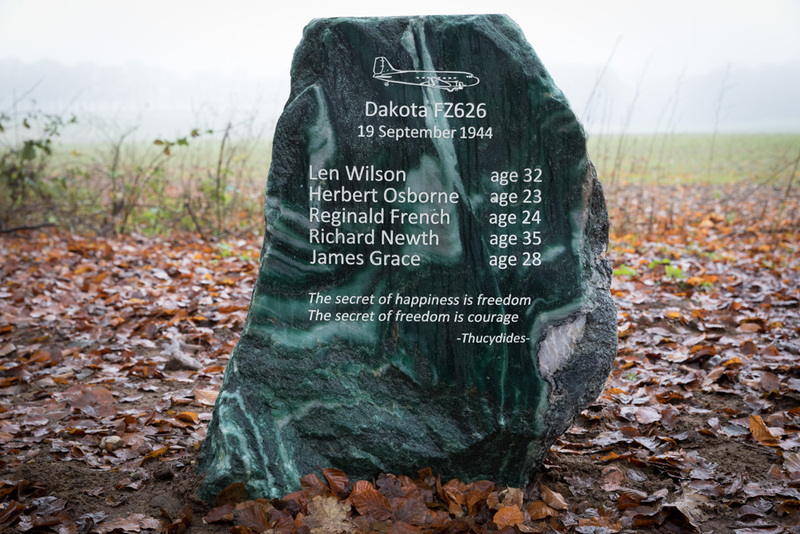 Memorial for the Dakota FZ626 which crashed nearby, placed on Friday December 1st, 2017, on the edge of supply dropzone Victor. On 19 september 1944 Dakota FZ626 was hit by flak during a resupply mission to the Arnhem battlefields. Pilot P/O J.L. (Len) Wilson crashed his aircraft into a German light flak position in the corner of Supply Dropping Point 'V'. Only the navigator W/O L.C. 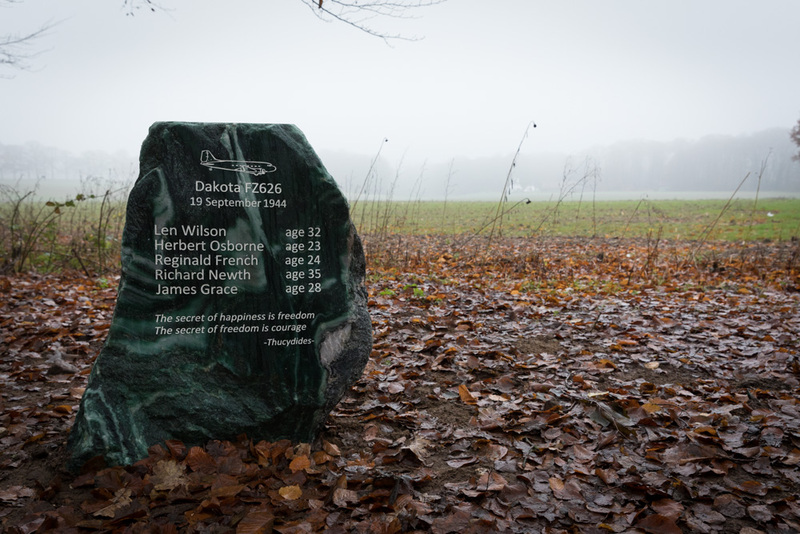 Gaydon and the two air despatchers, Driver V. Dillworth and Driver W. Jenkinson survived. They were taken POW. The dead crew members were buried at site. 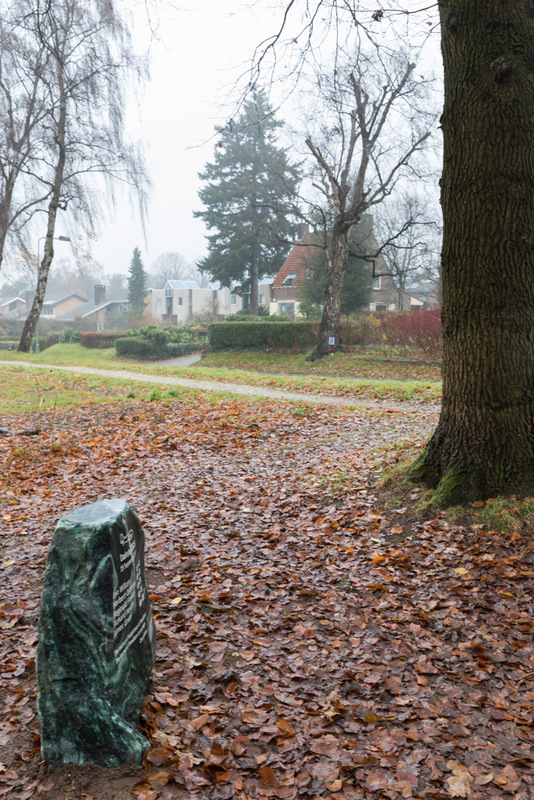 After the war they were reburied at the Oosterbeek War Cemetery: Pilot Officer J.L. Wilson (pilot), Flight Sergeant H. Osborne (co-pilot) and Flight Sergeant R.F. French (wireless operator). The other two despatchers: Driver R.C Newth was wounded and taken to the Arnhem Municipal Hospital where he later died of his wounds. Lance Corporal J. Grace was identified in December 1988. 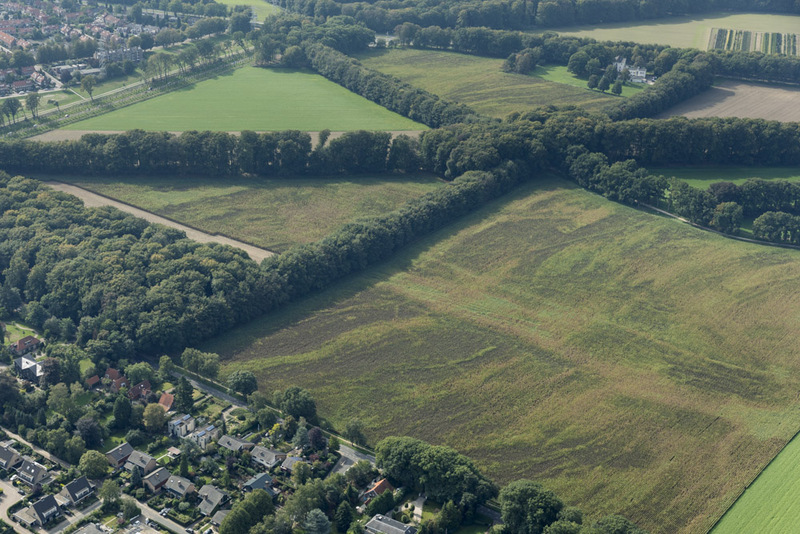 They are also buried at the Oosterbeek Cemetery.